Love those swans! Have to admit that we have never seen that one yet. Always fun to see creative Mousekeeping. Love the kissing swans! That was one imaginative mousekeeper! Thanks so much for sharing and for joining in on the hop today! Happy Valentine's Day! I decided at one point that these towel creations were truly amazing and that I needed to learn how to do them. Yeah...they're not very easy at all. Your mousekeeper is obviously a professional. Great "Love" image. Cute! We had those swans waiting for us at Port Orleans Riverside one year. I love Mousekeeping! I'd love to have those swans in my room tonight! Maybe I can try to get tricky and do it myself! 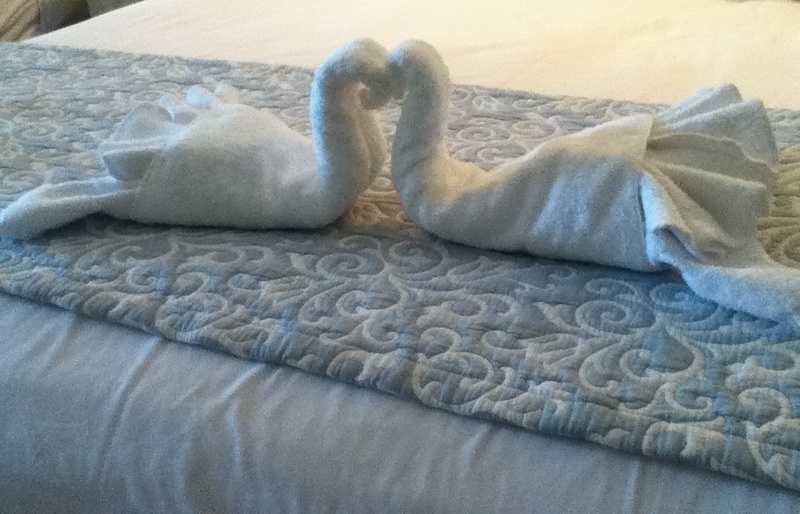 We've never been fortunate enough to get the "kissing swans" towel animals- great share!! A great creative take on love! Adorable! I love towel animals and how awesome it is to walk in on them on the beds. 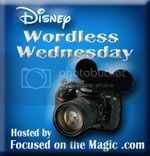 Love this one and perfect for this week's theme. Perfect picture for this week! I love towel animals! Great pic for the "love" theme.